Experimental saxophonist Ben Vince brings his performance to the Tate's Tanks, alongside DJ sets from Rhythm Section's Bradley Zero and Naima Karlsson. Live music will be running from 6pm until 9:30pm, accompanied by live visuals from Omar Allsop and Chantal. Meanwhile, head down to the Terrace Bar for drinks soundtracked by the NTS family, with sets from Anz, Akash and Clara La San seeing you through until 10:45pm. 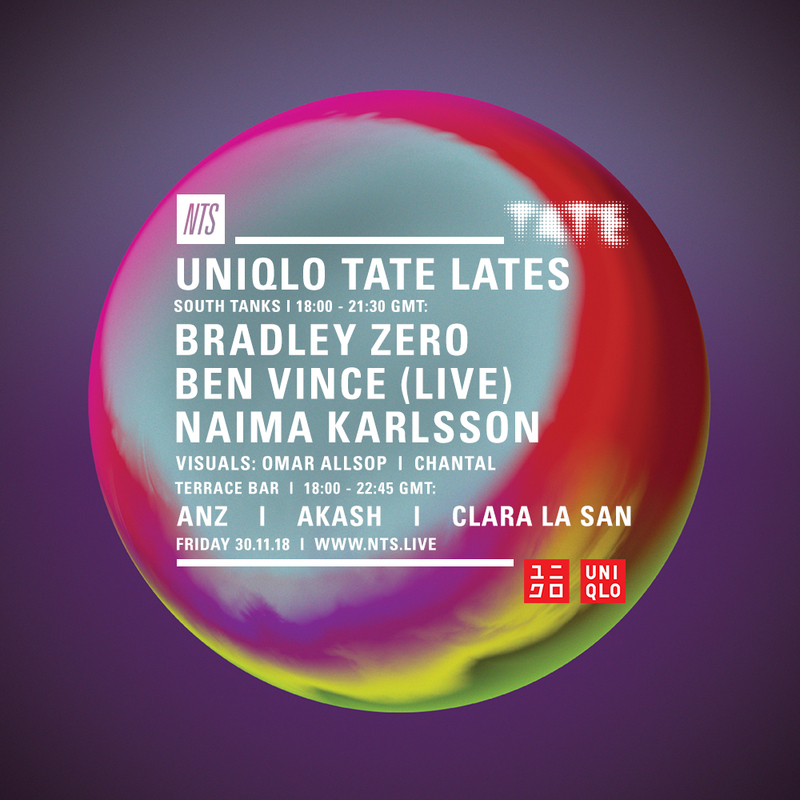 Uniqlo Tate Lates is, as ever, free entry and open to all. Check the official Facebook Event for more details.